You don’t need to be a rocket scientist to figure out that Santastic is a Christmas themed video slots. The slots sports 3 reels, 5 paylines and a progressive jackpot win of $600. At a glance the game offers very little to go by but as the old saying goes; dynamite comes in small packages. 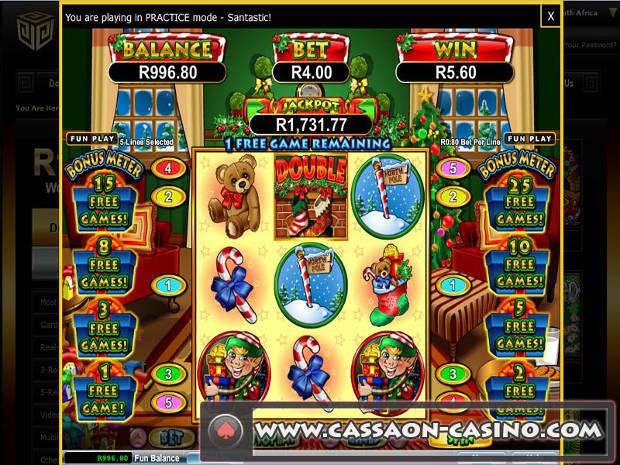 Since it’s a Christmas themed slots the usual symbols such as Santa, Rudolph, Elves, Snowmen, Christmas Puddings, Teddy Bear and Snow Capped Homes grace the reels. To be honest the game’s progressive jackpot is very low. Some players might play it just for fun and giggles whilst serious players might try their hand at something different. 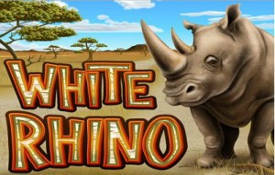 Santastic is packed with multiplier wilds, free spins, bonus features and a progressive jackpot. If you want to kick start the Feast of Season in style Santastic is the way to go. Is this slots worth playing? In a word yes. You can wager from as little as $0.10 up to $5 per spin. The coin size starts with $0.10 to $1 per line. Payouts ensue from left to right. Santastic has two wild symbols (Double and Triple Stockings), each with its own multiplier. They substitute all the other symbols except for the Jackpot symbol. The first wild is the Double Stocking Wild. It doubles any winning combination and only appears on the second reel. The second is the Triple Stocking Wild. When it contributes towards a win it triples all payouts and only appears on the third reel. In the event both wilds are used a combined multiplier of 6x comes into play. Any three of a kind win triggers the Santastic Feature except the progressive jackpot. Three, three of a kind wins awards the Festive Feast Feature. The bonus meter will then award 2500x bet per line, 1 or 3 jackpot spins or 3, 10 or 25 free games. The feature ends when jackpot spins are awarded, simply put it means that you’ve won the progressive jackpot. Santastic is different from your-run-of the mill X-mas themed slots since it offers a progressive jackpot. That said, if compared to other progressive games it offers a very low jackpot payout. But hey who are we to complain. It celebrates Christmas and should be played in a true Festive spirit. We recommend you play Santastic at these Realtime Gaming Casinos.